Lv, Z., Dellaert, F., Rehg, J. M., Geiger, A. In this paper, we provide a modern synthesis of the classic inverse compositional algorithm for dense image alignment. We first discuss the assumptions made by this well-established technique, and subsequently propose to relax these assumptions by incorporating data-driven priors into this model. More specifically, we unroll a robust version of the inverse compositional algorithm and replace multiple components of this algorithm using more expressive models whose parameters we train in an end-to-end fashion from data. 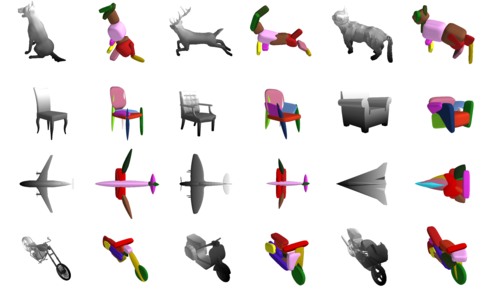 Our experiments on several challenging 3D rigid motion estimation tasks demonstrate the advantages of combining optimization with learning-based techniques, outperforming the classic inverse compositional algorithm as well as data-driven image-to-pose regression approaches. Voigtlaender, P., Krause, M., Osep, A., Luiten, J., Sekar, B. B. G., Geiger, A., Leibe, B. This paper extends the popular task of multi-object tracking to multi-object tracking and segmentation (MOTS). Towards this goal, we create dense pixel-level annotations for two existing tracking datasets using a semi-automatic annotation procedure. 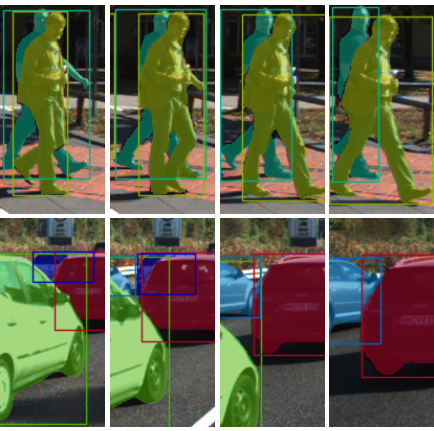 Our new annotations comprise 65,213 pixel masks for 977 distinct objects (cars and pedestrians) in 10,870 video frames. For evaluation, we extend existing multi-object tracking metrics to this new task. Moreover, we propose a new baseline method which jointly addresses detection, tracking, and segmentation with a single convolutional network. We demonstrate the value of our datasets by achieving improvements in performance when training on MOTS annotations. We believe that our datasets, metrics and baseline will become a valuable resource towards developing multi-object tracking approaches that go beyond 2D bounding boxes. Riegler, G., Liao, Y., Donne, S., Koltun, V., Geiger, A. We propose a technique for depth estimation with a monocular structured-light camera, \ie, a calibrated stereo set-up with one camera and one laser projector. 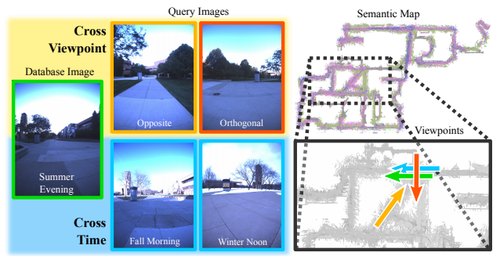 Instead of formulating the depth estimation via a correspondence search problem, we show that a simple convolutional architecture is sufficient for high-quality disparity estimates in this setting. As accurate ground-truth is hard to obtain, we train our model in a self-supervised fashion with a combination of photometric and geometric losses. Further, we demonstrate that the projected pattern of the structured light sensor can be reliably separated from the ambient information. This can then be used to improve depth boundaries in a weakly supervised fashion by modeling the joint statistics of image and depth edges. The model trained in this fashion compares favorably to the state-of-the-art on challenging synthetic and real-world datasets. In addition, we contribute a novel simulator, which allows to benchmark active depth prediction algorithms in controlled conditions. 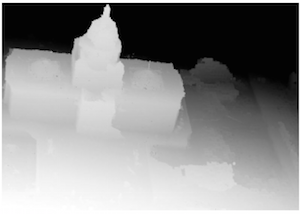 Given a set of input views, multi-view stereopsis techniques estimate depth maps to represent the 3D reconstruction of the scene; these are fused into a single, consistent, reconstruction -- most often a point cloud. 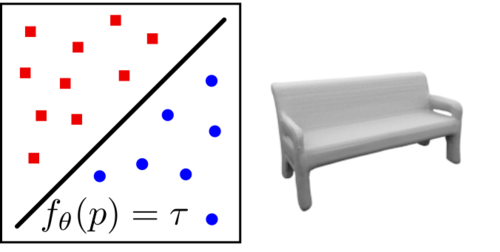 In this work we propose to learn an auto-regressive depth refinement directly from data. While deep learning has improved the accuracy and speed of depth estimation significantly, learned MVS techniques remain limited to the planesweeping paradigm. 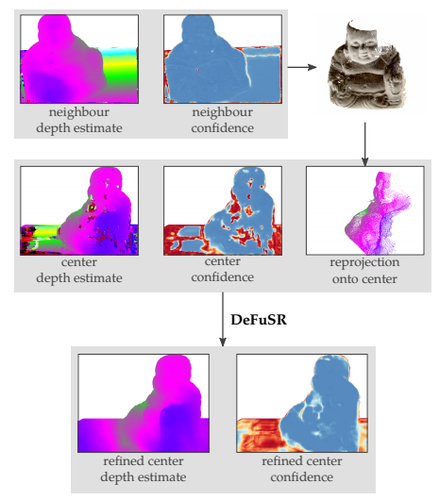 We refine a set of input depth maps by successively reprojecting information from neighbouring views to leverage multi-view constraints. Compared to learning-based volumetric fusion techniques, an image-based representation allows significantly more detailed reconstructions; compared to traditional point-based techniques, our method learns noise suppression and surface completion in a data-driven fashion. Due to the limited availability of high-quality reconstruction datasets with ground truth, we introduce two novel synthetic datasets to (pre-)train our network. 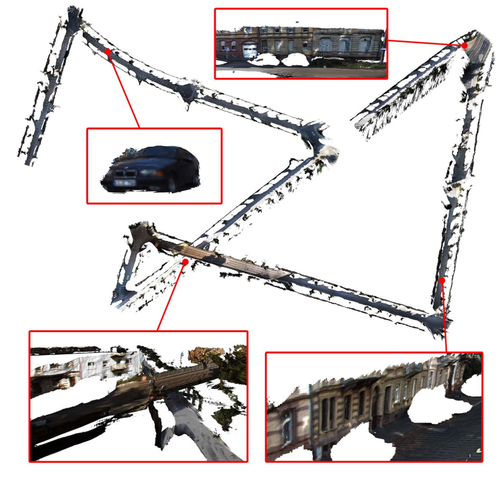 Our approach is able to improve both the output depth maps and the reconstructed point cloud, for both learned and traditional depth estimation front-ends, on both synthetic and real data. Liu, P., Geppert, M., Heng, L., Sattler, T., Geiger, A., Pollefeys, M.
Cherabier, I., Schönberger, J., Oswald, M., Pollefeys, M., Geiger, A.
Coors, B., Condurache, A. P., Geiger, A.
Omnidirectional cameras offer great benefits over classical cameras wherever a wide field of view is essential, such as in virtual reality applications or in autonomous robots. Unfortunately, standard convolutional neural networks are not well suited for this scenario as the natural projection surface is a sphere which cannot be unwrapped to a plane without introducing significant distortions, particularly in the polar regions. 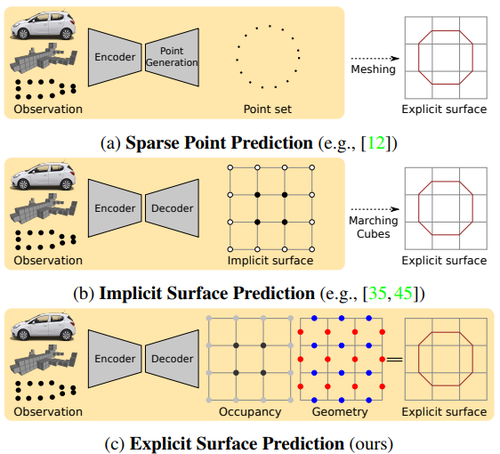 In this work, we present SphereNet, a novel deep learning framework which encodes invariance against such distortions explicitly into convolutional neural networks. 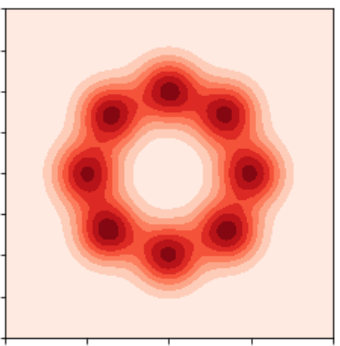 Towards this goal, SphereNet adapts the sampling locations of the convolutional filters, effectively reversing distortions, and wraps the filters around the sphere. 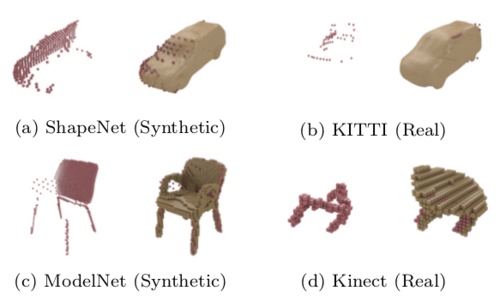 By building on regular convolutions, SphereNet enables the transfer of existing perspective convolutional neural network models to the omnidirectional case. We demonstrate the effectiveness of our method on the tasks of image classification and object detection, exploiting two newly created semi-synthetic and real-world omnidirectional datasets. Barsan, I. A., Liu, P., Pollefeys, M., Geiger, A. 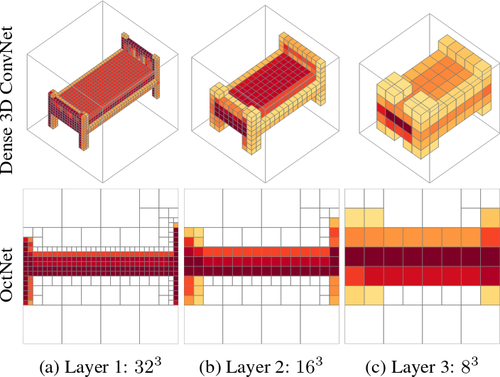 We present a stereo-based dense mapping algorithm for large-scale dynamic urban environments. In contrast to other existing methods, we simultaneously reconstruct the static background, the moving objects, and the potentially moving but currently stationary objects separately, which is desirable for high-level mobile robotic tasks such as path planning in crowded environments. 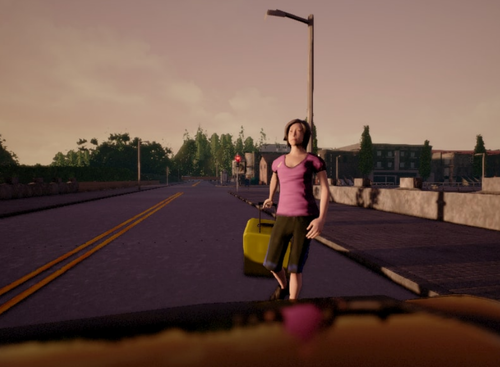 We use both instance-aware semantic segmentation and sparse scene flow to classify objects as either background, moving, or potentially moving, thereby ensuring that the system is able to model objects with the potential to transition from static to dynamic, such as parked cars. 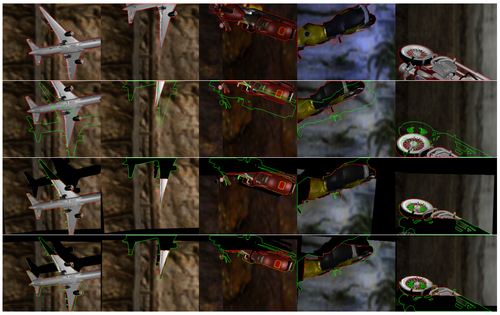 Given camera poses estimated from visual odometry, both the background and the (potentially) moving objects are reconstructed separately by fusing the depth maps computed from the stereo input. 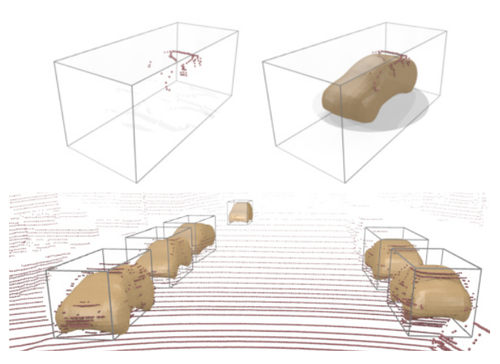 In addition to visual odometry, sparse scene flow is also used to estimate the 3D motions of the detected moving objects, in order to reconstruct them accurately. 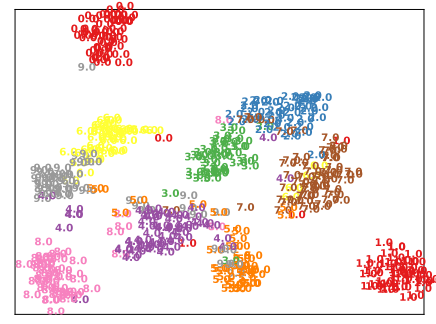 A map pruning technique is further developed to improve reconstruction accuracy and reduce memory consumption, leading to increased scalability. We evaluate our system thoroughly on the well-known KITTI dataset. Our system is capable of running on a PC at approximately 2.5Hz, with the primary bottleneck being the instance-aware semantic segmentation, which is a limitation we hope to address in future work. Coors, B., Condurache, A., Mertins, A., Geiger, A. 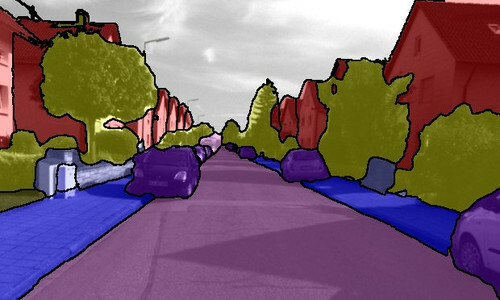 Deep convolutional neural networks are the current state-of-the-art solution to many computer vision tasks. However, their ability to handle large global and local image transformations is limited. Consequently, extensive data augmentation is often utilized to incorporate prior knowledge about desired invariances to geometric transformations such as rotations or scale changes. In this work, we combine data augmentation with an unsupervised loss which enforces similarity between the predictions of augmented copies of an input sample. Our loss acts as an effective regularizer which facilitates the learning of transformation invariant representations. We investigate the effectiveness of the proposed similarity loss on rotated MNIST and the German Traffic Sign Recognition Benchmark (GTSRB) in the context of different classification models including ladder networks. Our experiments demonstrate improvements with respect to the standard data augmentation approach for supervised and semi-supervised learning tasks, in particular in the presence of little annotated data. 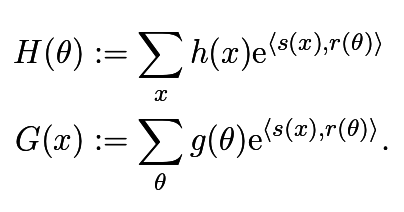 In addition, we analyze the performance of the proposed approach with respect to its hyperparameters, including the strength of the regularization as well as the layer where representation similarity is enforced. 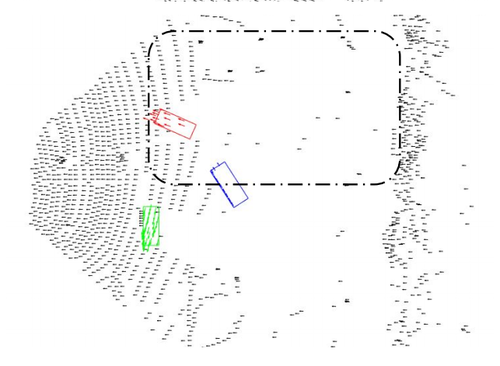 Liu, P., Heng, L., Sattler, T., Geiger, A., Pollefeys, M.
We present a direct visual odometry algorithm for a fisheye-stereo camera. 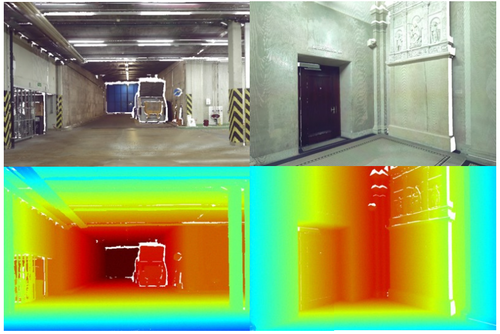 Our algorithm performs simultaneous camera motion estimation and semi-dense reconstruction. The pipeline consists of two threads: a tracking thread and a mapping thread. In the tracking thread, we estimate the camera pose via semi-dense direct image alignment. To have a wider field of view (FoV) which is important for robotic perception, we use fisheye images directly without converting them to conventional pinhole images which come with a limited FoV. To address the epipolar curve problem, plane-sweeping stereo is used for stereo matching and depth initialization. Multiple depth hypotheses are tracked for selected pixels to better capture the uncertainty characteristics of stereo matching. Temporal motion stereo is then used to refine the depth and remove false positive depth hypotheses. Our implementation runs at an average of 20 Hz on a low-end PC. We run experiments in outdoor environments to validate our algorithm, and discuss the experimental results. We experimentally show that we are able to estimate 6D poses with low drift, and at the same time, do semi-dense 3D reconstruction with high accuracy. 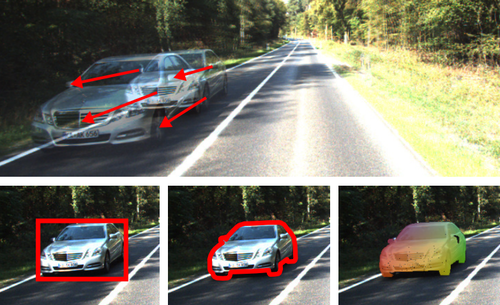 Alhaija, H. A., Mustikovela, S. K., Mescheder, L., Geiger, A., Rother, C.
The success of deep learning in computer vision is based on the availability of large annotated datasets. To lower the need for hand labeled images, virtually rendered 3D worlds have recently gained popularity. Unfortunately, creating realistic 3D content is challenging on its own and requires significant human effort. In this work, we propose an alternative paradigm which combines real and synthetic data for learning semantic instance segmentation models. 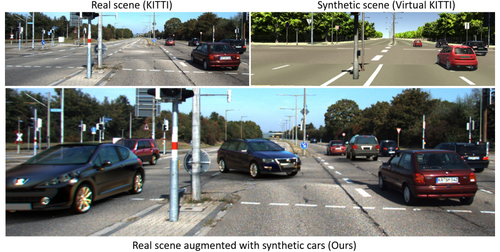 Exploiting the fact that not all aspects of the scene are equally important for this task, we propose to augment real-world imagery with virtual objects of the target category. Capturing real-world images at large scale is easy and cheap, and directly provides real background appearances without the need for creating complex 3D models of the environment. 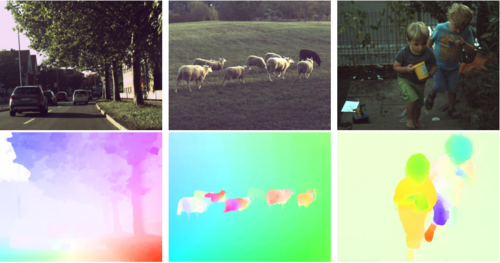 We present an efficient procedure to augment these images with virtual objects. 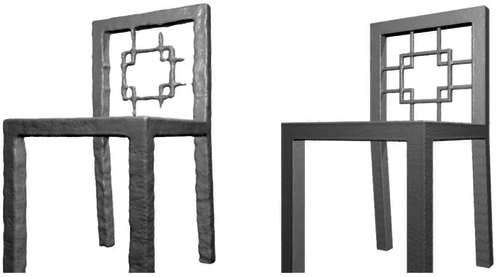 This allows us to create realistic composite images which exhibit both realistic background appearance as well as a large number of complex object arrangements. 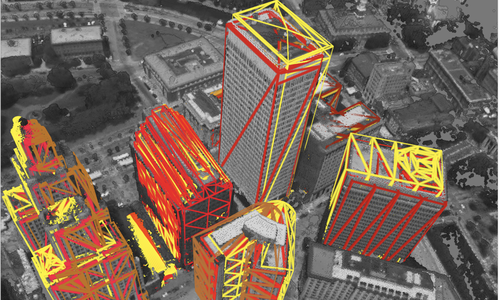 In contrast to modeling complete 3D environments, our data augmentation approach requires only a few user interactions in combination with 3D shapes of the target object category. We demonstrate the utility of the proposed approach for training a state-of-the-art high-capacity deep model for semantic instance segmentation. 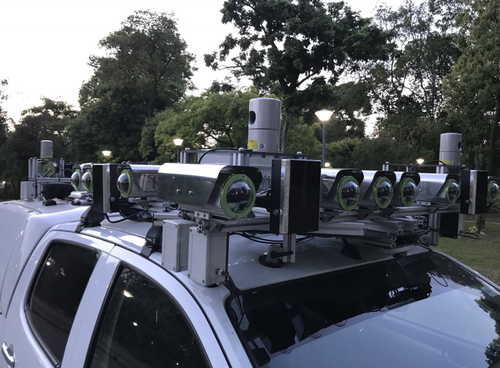 In particular, we consider the task of segmenting car instances on the KITTI dataset which we have annotated with pixel-accurate ground truth. Our experiments demonstrate that models trained on augmented imagery generalize better than those trained on synthetic data or models trained on limited amounts of annotated real data. Variational Autoencoders (VAEs) are expressive latent variable models that can be used to learn complex probability distributions from training data. However, the quality of the resulting model crucially relies on the expressiveness of the inference model. We introduce Adversarial Variational Bayes (AVB), a technique for training Variational Autoencoders with arbitrarily expressive inference models. 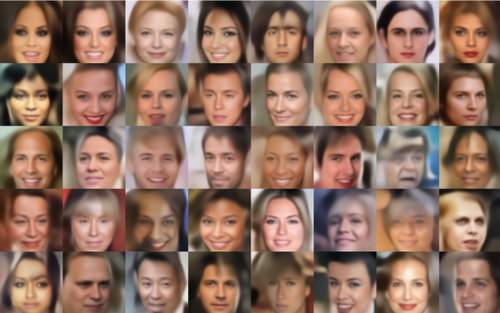 We achieve this by introducing an auxiliary discriminative network that allows to rephrase the maximum-likelihood-problem as a two-player game, hence establishing a principled connection between VAEs and Generative Adversarial Networks (GANs). We show that in the nonparametric limit our method yields an exact maximum-likelihood assignment for the parameters of the generative model, as well as the exact posterior distribution over the latent variables given an observation. Contrary to competing approaches which combine VAEs with GANs, our approach has a clear theoretical justification, retains most advantages of standard Variational Autoencoders and is easy to implement. Schöps, T., Schönberger, J. L., Galliani, S., Sattler, T., Schindler, K., Pollefeys, M., Geiger, A.
Camposeco, F., Sattler, T., Cohen, A., Geiger, A., Pollefeys, M.
Janai, J., Güney, F., Behl, A., Geiger, A. Recent years have witnessed amazing progress in AI related fields such as computer vision, machine learning and autonomous vehicles. As with any rapidly growing field, however, it becomes increasingly difficult to stay up-to-date or enter the field as a beginner. 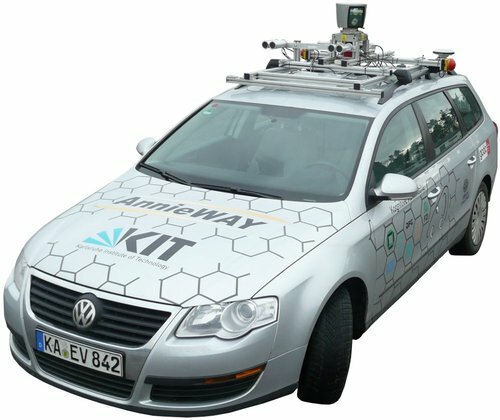 While several topic specific survey papers have been written, to date no general survey on problems, datasets and methods in computer vision for autonomous vehicles exists. This paper attempts to narrow this gap by providing a state-of-the-art survey on this topic. Our survey includes both the historically most relevant literature as well as the current state-of-the-art on several specific topics, including recognition, reconstruction, motion estimation, tracking, scene understanding and end-to-end learning. Towards this goal, we first provide a taxonomy to classify each approach and then analyze the performance of the state-of-the-art on several challenging benchmarking datasets including KITTI, ISPRS, MOT and Cityscapes. Besides, we discuss open problems and current research challenges. To ease accessibility and accommodate missing references, we will also provide an interactive platform which allows to navigate topics and methods, and provides additional information and project links for each paper. We present a new notion of probabilistic duality for random variables involving mixture distributions. 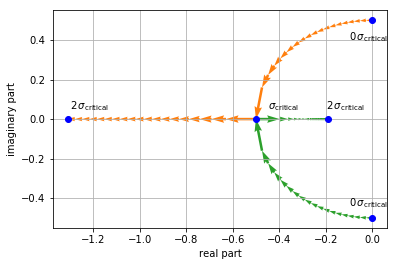 Using this notion, we show how to implement a highly-parallelizable Gibbs sampler for weakly coupled discrete pairwise graphical models with strictly positive factors that requires almost no preprocessing and is easy to implement. Moreover, we show how our method can be combined with blocking to improve mixing. Even though our method leads to inferior mixing times compared to a sequential Gibbs sampler, we argue that our method is still very useful for large dynamic networks, where factors are added and removed on a continuous basis, as it is hard to maintain a graph coloring in this setup. 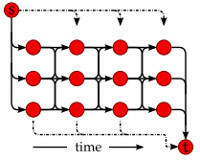 Similarly, our method is useful for parallelizing Gibbs sampling in graphical models that do not allow for graph colorings with a small number of colors such as densely connected graphs.